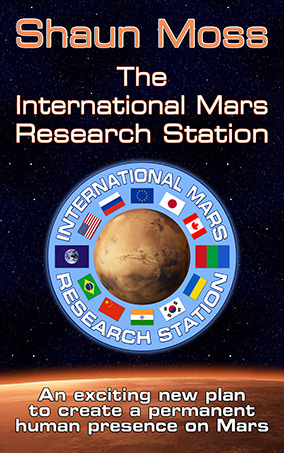 A very nice timekeeping system for Mars. Timekeeping for Mars was one of the first aspects of Mars settlement that really fascinated me, and I ended up putting a lot of thought into it. The calendar presented here is the result of a long period of research and experimentation. Many people have shown interest and enthusiasm for the calendar and the timekeeping system, and earlier versions have appeared in several software applications, websites, and games, including the Mars Simulation Project and the Martian Calendar iPhone app. Please use the table of contents in the sidebar to navigate the description of the calendar and clock. I hope you enjoy learning about timekeeping on Mars! Copyright © 2000-2017, Shaun Moss, All Rights Reserved. No part of this website or publication may be reproduced, transmitted or resold in whole or in part in any form, without the prior written consent of the author. All trademarks and registered trademarks appearing are the property of their respective owners. To obtain written consent, email the author. First published in 2000 by the author.